For the past few months I’ve been tutoring in the community School of Food garden in Thomastown, Co Kilkenny. 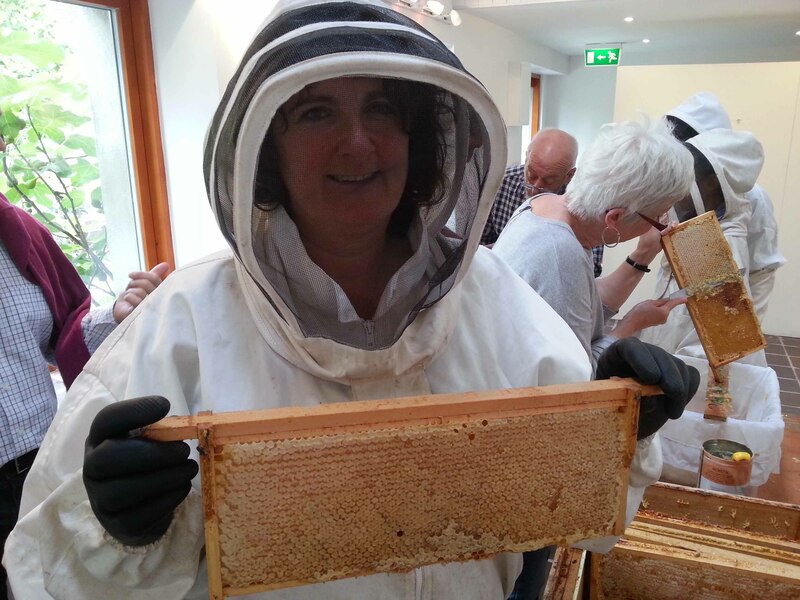 With funding from Kilkenny’s Education Training Board (ETB we began with a Fetac 3 Outdoor Vegetable Crop Production course, which has since been followed by a Planting and Potting Indoors module. Apart from the usual vegetables grown in Irish gardens such as potatoes, cabbage and runner beans, thanks to Fitzgerald Nurseries, we’ve also been able to grow a wonderful variety of unusual vegetables at the School. Pat started the Andean vegetables off as seedlings at the nursery and brought a few in for the course participants to transplant into larger containers, or plant straight into the soil in the School garden. If you read on you’ll find six of many unusual vegetable varieties currently growing in the School of Food garden. The gardeners have enjoyed watching the Popcorn Fiesta develop in the polytunnel. Although corn can be grown outdoors, the seedlings were ready before the outside beds so because corn doesn’t like being transplanted, we planted them directly into the polytunnel soil. Corn is wind-pollinated so in its absence inside we had to help it’s pollination by shaking the male antennae on top of the plant, encouraging it’s pollen to fall directly onto the female tassels parts growing in the middle (see here for an older post with photos). It’s recommended to mulch and water Popcorn Fiesta in dry weather, but we’ve been saved this job thanks to an excellent irrigation system that’s been installed in the polytunnel. Popcorn Fiesta is available from various seed suppliers and can be sown from March to April in modules. Fibre pots or empty toilet roll holders are great for corn as they can be planted directly into the soil and will cause less root disturbance. Once germinated (around May to June), the seedlings can be planted directly outside or undercover in a polytunnel, (though be warned, they will get tall). Make sure the soil is well-drained and the corn is growing in a sunny spot. Plant them into block-like grids at least three plants deep leaving 45 cm between each plant. The ears of corn are ready to harvest when the husks around them become dry and papery. Just twist and pull the corn off the plants. Once off, peel back the husks to reveal the wonderful cobs growing inside and leave them to dry for a few weeks, somewhere with good ventilation which will cut their water content. The cobs will store for up to a YEAR in an airtight container. The best way to cook Fiesta Corn is to pop it. Place the cob in a paper bag, tie it closed with string and microwave it for two to three minutes or until the popping slows down to every couple of seconds. Alternatively, remove the dried kernels from the cob and place them in a saucepan with a small amount of oil. Put on the lid, turn up the heat and wait. Again, once the corn stops popping, remove the lid and you’ll find that your Fiesta corn has transformed into tasty popcorn! 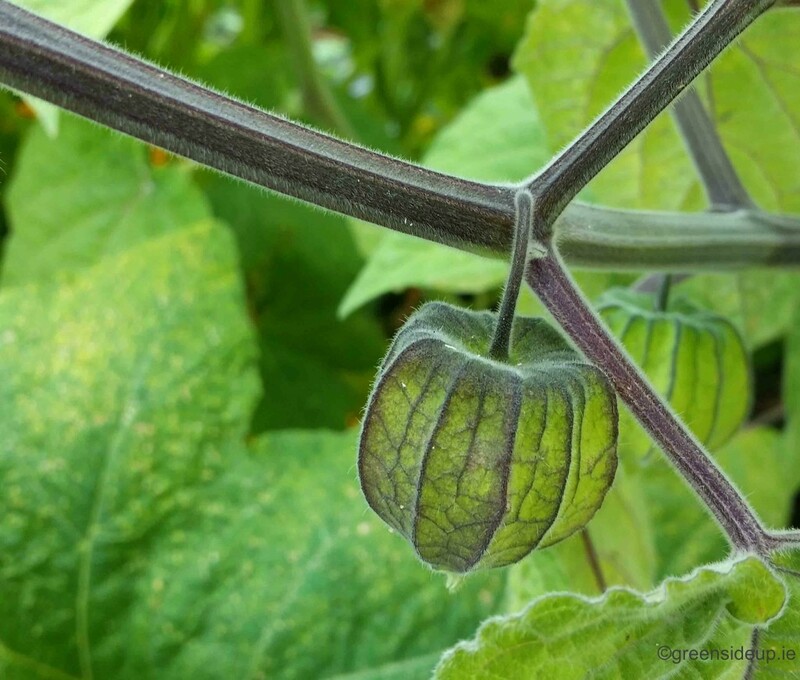 Tomatillos are delightful to look at with their lantern-like papery covering. They’re very popular in Mexican dishes with a flavour that’s been described as a cross between a lime and a beefsteak tomato. However, just like their relatives the tomatoes and potatoes, they are members of the Nightshade family (Solanaceae) and have their poisonous parts. 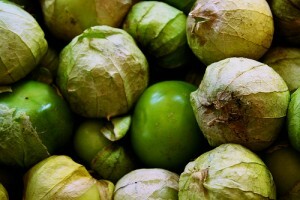 In the case of Tomatillos, all parts are poisonous except the fruit. However, unless you suffer allergies, don’t let that put you off. We’ve found the tomatillos very easy to grow in the polytunnel. We planted the seedlings into well-drained soil and have done nothing other than water and weed around them, though a high potash feed could be given to them if necessary. Apart from looking pretty, Tomatillos are extremely productive, producing lots of lanterns (potentially up to 10 kg per plant) before the frosts arrive. As they grow you’ll notice that they begin to flop to the side, a natural development as they’ll begin to send out lots of lateral roots as they find new soil, allowing them to produce even more fruit. Like courgettes, two Tomatillo plants should be enough for one family but don’t plant less as they need another plant nearby for pollination. Seeds can be started off indoors in seed trays in March and potted on to 5cm pots. They can be transferred to their final growing positions (in a polytunnel or outdoors) once all danger of frost has past, planting them around 1m apart. 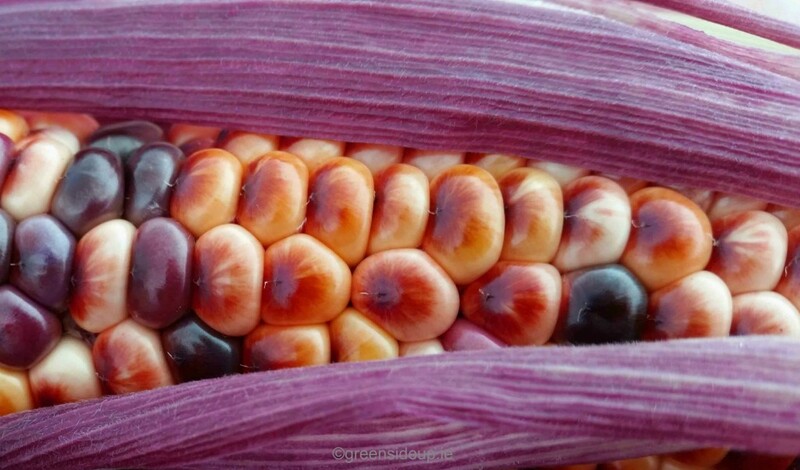 To harvest, once the fruit has developed inside enough that it’s bursting through it’s papery lantern, remove it from the plant, take off the husk and wash in warm water to remove the coating that’s waxy and bitter. You’ll find lots of recipes using Tomatillos online but replacing them for tomatoes in a salsa is probably one of the easiest. Another member of the Solanaceae family so related to both the tomatillos and tomatoes, Cape Gooseberries are native to Brazil but long ago adapted to the Andean heights and now grow wild up to 10,000 feet. They too carry cute little lanterns but these contain little orange berries that we’re more familiar with when they garnish our desserts. 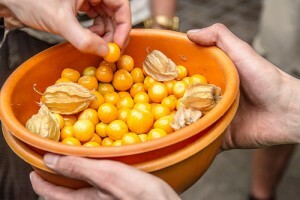 Cape Gooseberries can be grown just like tomatoes, preferably on a propagator from seed from February to April, potted on to larger pots as they develop, before planting outside when all chances of frost have passed. Cape Gooseberries need consistent watering if they’re to set a good crop of fruit so once again, the irrigation in the School garden polytunnel has been a real bonus. The plants are pretty easy to grow as they don’t need feeding or pruning but they aren’t tolerant of frost so keep an eye out and have some horticultural fleece ready as the seasons get cooler. We will know the Cape Gooseberries are ready as they will fall to the ground, though may not all do so at once as they’ll mature at different stages. Once fully mature the berries will stay fresh in the fridge for several months and out of their little Chinese lanterns, the fruit can be eaten raw, as a garnish, added to smoothies and salsa and as they have a high pectin content, made into great jams. 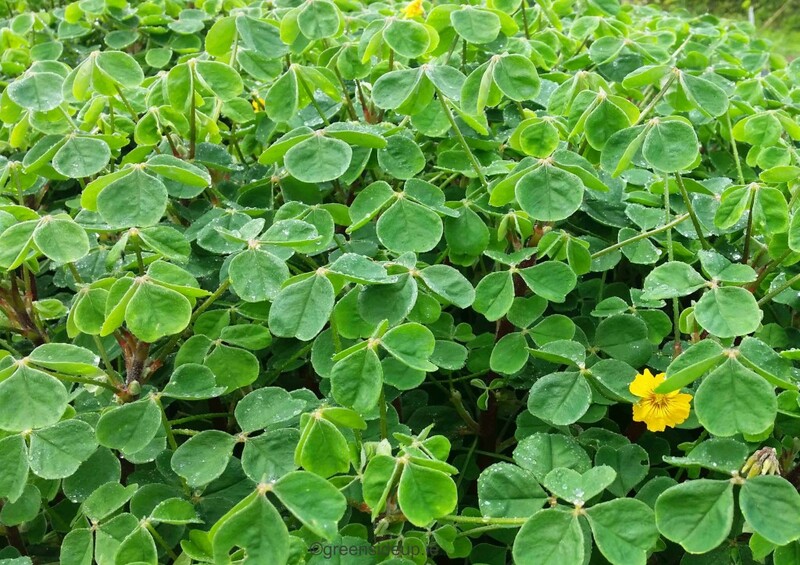 Oca are being increasingly grown by gardeners in the UK and Ireland as the flavour of the tubers resemble potatoes, though sweeter, but they don’t carry the blight risk we’re plagued with here. We’re growing them in high raised beds at the School and looking forward to harvesting the knobbly tubers during the winter, but we’ll have to keep ahead of the game as they don’t like frost. Again, we will have to be ready with the horticultural fleece! Oca tubers can be purchased in some garden centres or online during mid Spring and planted individually into pots of multipurpose compost. Once the chances of frost have passed, the developing tubers can be planted outside in beds that have been previously prepared with well-rotted organic matter. Alternatively the tubers can be planted directly into the soil from around May onward. Oca spacing and care is like potatoes, but plant them up to 36cm apart if you want a heavy crop of tubers and to allow them to spread out and grow. Oca tubers don’t begin to develop until after the Autumn equinox and will continue to grow even when temperatures have plummeted, but it’s a good idea to cover their foliage with fleece to prevent the soil freezing and you being unable to dig them out. During December or January try lifting the tubers and take a peek, they should be ready to harvest. 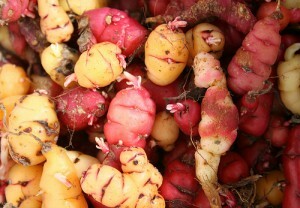 Oca will need to be dried fully before storing in a cool, dry shed. 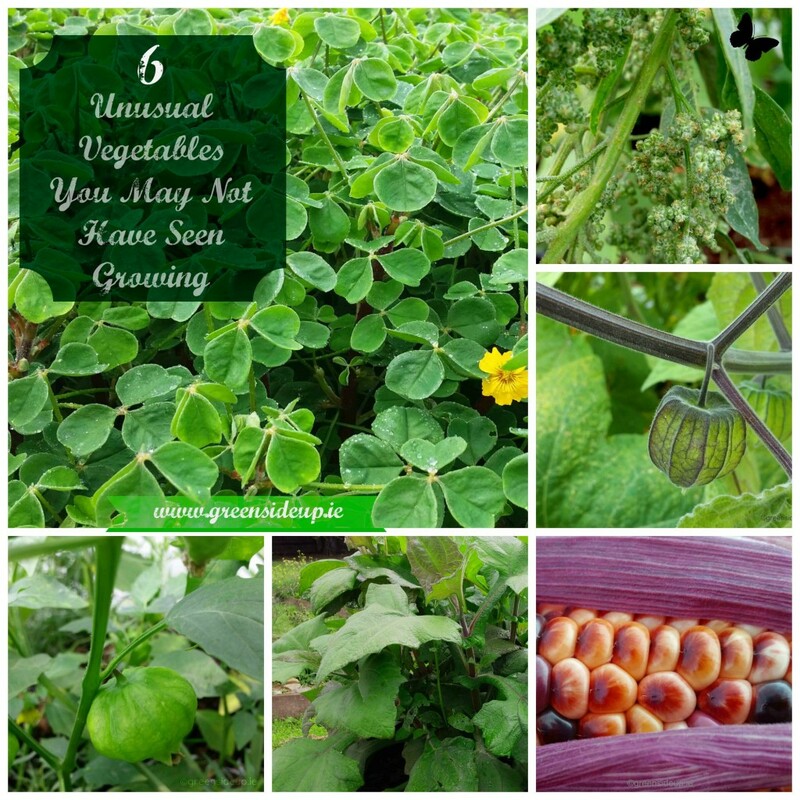 For more information on harvesting Oca, Anni’s Perennial Veggies blog carries an interesting post on her experiences with this unusual vegetable. Anni also curries her Oca which sounds delicious. Another tasty Andean vegetable that’s grown for it’s tubers, Yacon (also known as ground apple or pear of the earth) are a sweet vegetable, rich in indigestible sugars, just like Jerusalem artichokes, but without the calories of biscuits and cake! Just like Oca, Yacon is another perennial vegetable and very easy to grow, though does have a long growing season with again, tubers being formed in the autumn months. Yacon can only be grown from tubers or divided plants, and hopefully they’ll become more readily available here in Ireland as Fitzgerald Nurseries continue their trials, particularly as Yacon grow well both inside and out in an Irish garden. “Nose below the surface in late autumn and you’ll see that Yacon produces two sets of roots – the large edible tubers that act as the energy storage facility for the plant, and the smaller propagation roots (resembling Jerusalem artichokes) which grow just under the soil surface and are the seeds for the following year’s growth. When you lift your Yacon plants to harvest the tubers, cut the stems back to about 10cm long and store the crowns covered in damp compost in a cool frost-free place where they won’t dry out. 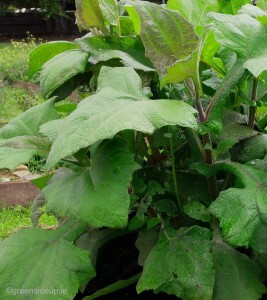 As the frosts come along, we can expect the Yacon foliage to wither and that’s the time to harvest the tubers. We’ll lift them carefully just like potatoes, removing the tubers from the crown. Yacon can be eaten straight away but will become sweeter if they get the chance to get some sun before they’re stored away in a cool shed. Unlike potatoes, the tubers can be eaten raw in salads but if you find yourself with some, take a look at Pinterest where you’ll find everything from buns to ice cream and syrup to sorbet. We have other Andean vegetables growing in the School garden but number 6 of this list of 6 unusual vegetables, is the superfood Quinoa (pronounced KEEN-WAH) which is in the same botanical family as sugar beet. Popular with vegetarians, vegans or anyone who doesn’t mind straying away from the usual meat and two veg, Quinoa grain tastes a little like couscous, and can be cooked similarly too. The best thing about Quinoa however, is that both the leaves and the grain can be eaten and it’s very high yielding, meaning you don’t need a lot of space to produce a good harvest. Ten plants will produce a pound of grain. Quinoa seed can be sown directly into the soil where it’s to grow from mid-April but to get a head start, seeds can be sown in small pots and planted outside at the end of May. Quinoa seedlings should be planted around 30cm apart, watered and left to grow, which they’ll happily do without any fuss from us! You’ll know your Quinoa is ready to harvest in the Autumn when the leaves begin to turn yellow and fall off, just leaving the grain clusters. These ‘ears’ can be snipped off with secateurs and popped into brown paper bags to dry in a cool shed. If you’re planning to use the leaves before they yellow, steam them for a few minutes just like spinach. To prepare the Quinoa grain, simply rub the dried seed heads gently between your hands over some paper and add to a bowl. To separate the grain from the chaff, take your bowl outside on a breezy day and pour grain from one bowl to another, allowing the wind to catch it and blow the chaff away, leaving the grain in the bowl. Once separated the grain can be stored for up to a year in an airtight container. To cook Quinoa, rinse the measured grain thoroughly using a blender. Add the grain to the blender, fill with water, leave for five minutes and whizz for a couple. Drain and repeat. It’s now ready to cook. Ireland’s first commercial crop was harvested this week so perhaps it’s something we’ll see more of in Irish fields in future years. If you’re curious about these Andean vegetables they can be seen growing now in the School of Food garden in Thomastown and I’ll be posting photos on Instagram as we harvest them. Alternatively, if you’re planning to be at the 2015 Electric Picnic Festival, the school are donating several containers of vegetables to the Global Green Community Garden and Farm so you’ll be able to see them for yourself. You can find the full line-up for Global Green at the Electric Picnic here. Tomatillos are wonderful! They make wonderful sauces. I eat a lot of quinoa being I am a vegetarian, its a plant source of complete protein. Its so usable as well! Soups, casseroles, side dishes, ground it up and use the flour in baked goods. Very easy to use in lots of ways! I looked up the yacon as I was curious, it surely resembles a sweet potato! Something we grow here on our place. That corn is really pretty isn’t it! Interesting to hear Quinoa can be used in so many dishes, I’ve never cooked with it, will have to start and I didn’t know it was full of protein, thanks for that The corn is so pretty, almost to good to eat. We’re growing sweet potatoes too in containers – thy may take another blog post all on their own! I have Cape Gooseberries in the greenhouse, seeds courtesy of a cousin in Chicago. I’m not mad about the fruit, so probably won’t bother growing them again. Ironically I have never had a fresh tomatillo – only tinned. I only learned about them recently and have ordered seeds so that I can grow my own as I love mexican cooking! Fascinating post, Dee. Another way to eat corn that I learned this summer: BBQ the ears of corn, rub with fresh lime, then mayonnaise, and sprinkle with smoked paprika. A taste sensation! Sounds delish! I wonder would that work for the popping corn or would they be popping all over the place! 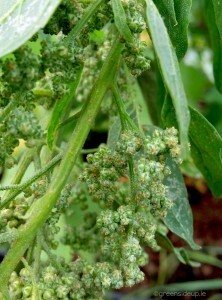 It will be interesting to see if more farmers follow suit with the Quinoa. 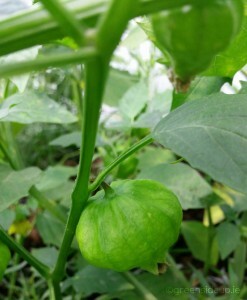 Our tomatillos have just ripened, will report back!